You have written your ebook. You have perfected every passage and reformatted it a dozen times. Everything you could possibly do to make it readable and enjoyable has been done. But high quality writing and editing is sadly not enough. Marketing is still key, and failing to properly promote your ebook will keep your readers from even knowing it exists. Note: It’s not that tough to write an eBook these days. Just take a serious look at the content you have already written: Much of it may be an eBook material. For example, this article on interior design can be easily re-marketed as an eBook, or this one can be actually a great eBook too! Take a look (and download!) this nice eBook to get an idea of what I am talking about. Social media has provided the perfect platform for building hype. Facebook in particular is a valuable tool with a great deal of reach, while engaging directly with your potential readership. Unlike many other networks, it lets you conduct an in-depth discussion, rather than rapidly advertise. Here are some creative ways that you can promote your ebook using Facebook. Hold a Giveaway – Everyone likes free stuff. Holding a competition for a free copy of your ebook, especially prior to its official release date, is a quick way to spread the word. Make liking the page and sharing a photo ad for the ebook a requirement to enter. Then give away a few copies for free to random users who have done so. Giveaways are best held a few weeks before the release, over the course of a couple of days for maximum visibility. Give Away a Chapter – If you give them a taste, they will be sure to want more. Link to a free chapter that is hosted on your blog, on your Amazon product page, or even put it right there on your FB account in their Notes section. Though providing a link is a good way to increase sharing, as Notes are less likely to be passed along. If you don’t want to give away an entire chapter, you can just post a portion of one that is particularly enticing. Think of it as the the sample at the end of physical books. They always make you want to buy the next in the series, don’t they? 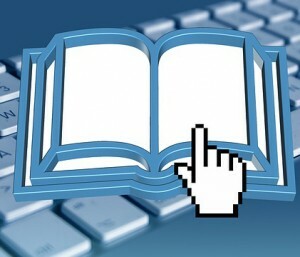 Pay With a Like – Giving away your ebook for free has its advantages. Many ebook publishers will go the free route for the first few months, or for a certain amount of copies, before they begin to change. This builds a buzz, generates reviews, and makes people willing to buy their own copy. But you don’t have to give it away for nothing. Plugins like Pay With a Like require people to share it on Facebook before they are able to download. It is a great way to promote the work, and even bring in some ad revenue if your site is monetized. MyBlogU eBook Gallery – Promotion tools that are integrated for social media marketing are always helpful. MyBlogGuest has an ebook gallery that is a great example. You will be using a two-fold strategy while connecting with a community that is eager to share out your content through their Facebook pages and blogs. This is the perfect way to make powerful connections for the future, as well. Viral Content Buzz – Another community tool that works well is Viral Content Buzz. You are essentially trading social media shares with other social media influencers, sharing out their content while they share out yours. That will connect you with their audience, and many of Viral Content Buzz’s users are high profile social media marketers that have quite a following already. You will be building links and gaining visibility with next to no effort on your part. It is a very helpful system. Should I Only Use Facebook? A well rounded social media strategy uses multiple platforms to get the word out. You shouldn’t be focusing on Facebook alone, because you will be missing out on a number of opportunities for growth elsewhere. Twitter, Pinterest and Google Plus are obvious contenders for a secondary promotional campaign, and many use all three in addition to Facebook. But some others include YouTube, Reddit, StumbleUpon, LinkedIn, and general content promotion through blogs and guest posts. By varying your networks and customizing your strategy for each one, you will be giving your ebook the best chance possible. All it takes is a bit of creativity, and you could be bringing in more readers than you ever thought possible. Don’t let yourself get too bogged down with a singular platform.